Just playing around with some old and new Flea Market Fancy. This will probably end up in the shop as a quilt as soon as I can decide on the final size. 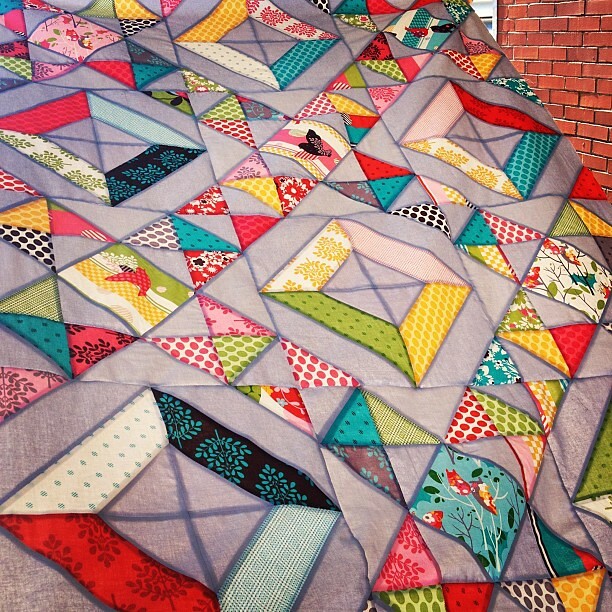 oh that quilt is gorge Kelly! That pattern looks awesome; and as for the gorgeous FMF, my postman better deliver mine in the next couple of days or I am going to go apesh*t! I'm really excited to see yours all finished up! 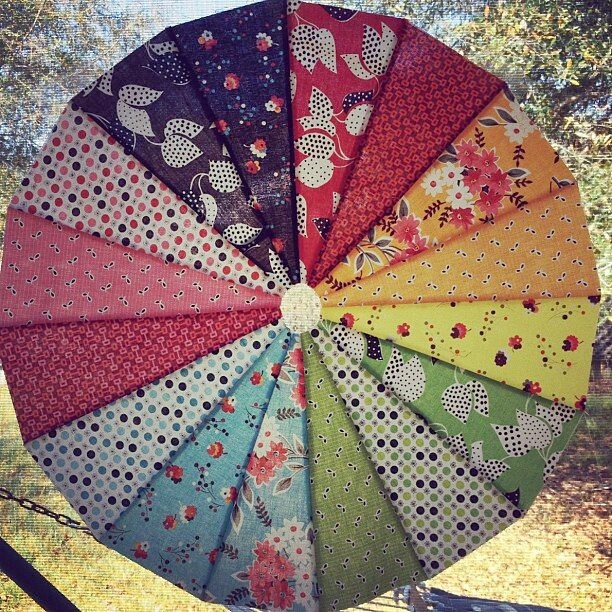 And I LOVE that color wheel... it's so cute. I'm still thinking they should have reprinted the posies and little sproutlings in all the colorways. Want want want!!! My new FMF arrived today, I might play in a similar fashion!